Police responded to suspicious packages at Waterloo railway station and office buildings at Heathrow and London City airports on Tuesday. The 38-year-old is accused of flying a drone near the runway on Christmas Eve. The plans comes as an eight-week public consultation opens for local communities to have their say on the controversial proposals. Eight protesters campaigning against a new runway at Heathrow have been arrested after the Labour party's HQ was daubed in paint. 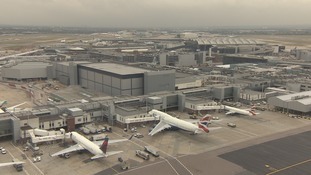 Supporters of a third runway at Heathrow are due to hold a demonstration today, marking a year since the airport was chosen as the government's preferred option. The results of a recent government consultation found eighty percent of those who took part were in favour of expansion at the site. It's almost 50 years since the Government recommended a new airport be built for London and the South East. 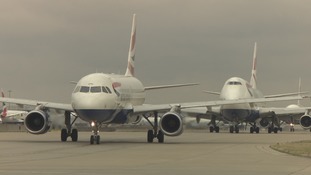 Two years ago, it seemed that the argument had been settled when a Government-backed Commission said Heathrow should get a new runway - to cope with the huge demand for flights. People living near Gatwick felt they could breathe easy when that recommendation was made. But once again the spectre of more noise pollution in Sussex and west Kent reared its head. It comes as a new study has revealed that Gatwick would ultimately be better for the national economy - and less damaging to the environment. Our Political Correspondent Phil Hornby had been following the latest developments.